By our note referred to above we invited you to ensure the necessary follow up on the statements of Messrs M. Selmayr and A. Italianer at the meeting of the heads of cabinets on 30 January 2017 (see point 7.12). In particular, on this occasion we appreciated that the unacceptable nature of “parachuting” and the fact that “these practices are demotivating for the rest of the staff who doesn’t get promoted as fast as the Cabinet members” were finally recognized. Your response to our note is all the more urgent as we learn that the administration has told the services that these instructions would no longer apply because you did not confirm them when taking on your new duties. Again, we want to confirm that for R&D there has never been a question to cast doubt on the merits of our cabinet colleagues but, on one hand, to defend the independence and credibility of our public service, our institution, its recruiting and appointments procedures and, on the other hand, to take into account the devastating effects of these practices on the motivation of the remaining staff. We remind that such practices discredit our institution and fuel Eurosceptic and Europhobic sentiments, all the more deleterious on the eve of the elections for the renewal of the European Parliament. Thanks to colleagues for supporting us! Looking forward to your reply, I would like to inform you thatafter the publication of our note, we have recorded an unprecedented number of support and strong encouragements to continue our efforts immediately. “(…) The big losers of these parachuting practices are therefore the civil servants with a ‘normal’ career, without political proximity (…). These practices give rise to the frustration of the staff that feels that careers depend more on arbitrariness than rationality “. R&D does not put everyone in the same basket! In this respect, we agree with the invitations to stigmatize with firmness and precision the slippages while avoiding hasty generalizations. Indeed, we recognize the merits of the Members of the College who refrain from encouraging such practices and the courage and independence of service managers who refuse to become “air controllers” in charge of “landing strips” for the “parachutists”. Likewise, concerning Cabinet staff, we are aware that these practices do not concern our colleagues AST who should therefore not be associated with them. We also appreciate the attitude of our AD colleagues who, knowing that they had already been able to benefit from faster promotions, calmly accept to be reintegrated under “normal” conditions. 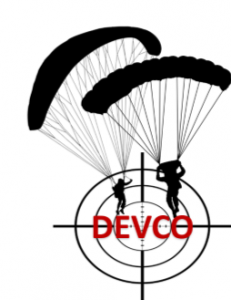 Will DG DEVCO become “the leisure club of parachutists”? Regarding the cabinets that seem to be the most concerned and the services that seem to be more permeable, numerous invitations have been sent to us to look into the situation at DG DEVCO. Indeed, recently DG DEVCO seems to have a growing interest in reserving senior management positions to cabinet members. The competences and qualities of staff members who have served for years in both the Commission’s Headquarters and delegations, as well as in a highly specialized area, seem to be simply ignored. “Faultless landing strip” for cabinets in DG DEVCO? Two parachuting appointments to the two senior management posts that have just been published? Regarding the ongoing procedures, we learn that there is talk of “en plein”, a faultless landing strip: the two senior management positions recently published by DG DEVCO are being entrusted to two cabinet members, of the President and Ms Mogherini and – it goes without saying – all internal applications would be rejected. And if that weren’t enough, we learn that new “parachuting” is already planned for other DG DEVCO middle management positions. We hope that the fears of colleagues would be dispelled when announcing the successful applicants for these positions. Indeed, in the recent past other appointment procedures organized by DG DEVCO have resulted in the appointment of cabinet members by “assignment to grade – appointment” by using the procedure of Article 29(2) of the Staff Regulations, such as the one of a recent member of the cabinet Mogherini. It is clear that this exercise of rotation between the positions within a cabinet and those in the upper management of the DG DEVCO works perfectly! Given this “permeability” and the lack of consideration for in-house expertise recently shown by DG DEVCO, it is not surprising that colleagues who have lost their management positions in other Directorates-General are trying to be redeployed by asking DG DEVCO to find “a solution”. The frustration of DG DEVCO staff and other colleagues working in external relations is all the more understandable given the “control” of national diplomats TA colleagues over the Head of Delegation and Management positions at the EEAS! In fact, it must not be forgotten that the career opportunities of colleagues working in the field of external relations are already almost wiped out by the countless posts of Heads of Delegation and Management that have been granted within the EEAS to the TA colleagues seconded from Member States. Moreover, it should be noted that “parachutists” of Ms Mogherini’s Cabinet have the unique privilege of having two landing strips by being able to benefit both from positions within the Commission’s Directorates-General and the EEAS. It is a privilege that colleagues from other cabinets have invited us to denounce. “Abandon every hope all who enter here”. It must be remembered that DG HR is not only unable to end such practices, but has become a very docile linchpin, putting all its talents and energy at the service of these deleterious maneuvers. In view of the above, while waiting for your response to our note in Reference, we ask you to ensure and give clear instructions to DG HR to put an end to the ongoing administrative posturing to organize the panoply of parachuting in progress or already planned not only at DG DEVCO but also near other services. Since DG DEVCO is unfortunately not a unique case, we reserve the right to bring to your attention the situation of other Directorates-General / Cabinets that demonstrate the same “permeability” and the same activism. 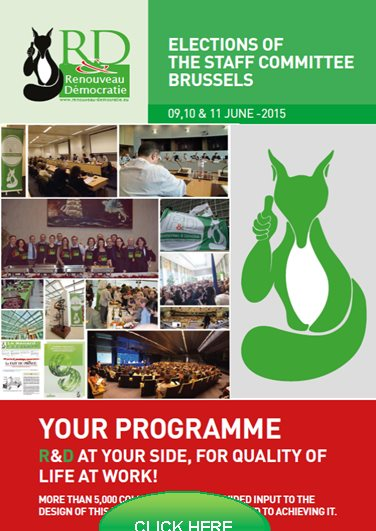 The EU’s new External Service: the “back office” of the Member States?